We have received multiple inquiries from our readers regarding Malaysia e Visa for Indian Citizens. In order to address this, we recently met with a travel visa consultant from evisamalaysia.in, who kindly agreed to discuss some of these questions in detail. Firstly, we would like to thank you for taking your time out to help our readers. Let’s begin at the most basic query, what exactly is an eVisa? An eVisa is short for an electronic visa. It is a type of visa for which you apply online. The visa is processed online and linked to your passport number. Also, you do not get a physical copy of the visa. It is sent to you through email in a digital format. Actually, Malaysia had started its eVisa services in March 2017. This was due to a large influx of tourists. They wanted to simplify the visa application process and also provide a larger number of visas in order to boost tourism. Since then Malaysia has seen an increase in tourists by 30%. More people prefer to visit the country now, especially Indians, as it has become so much simpler to obtain a visa. It is interesting how the internet has made everything available to us in a click. Don’t you think so? It is my opinion that eVisa has simplified things for everyone. What do you think? Firstly, if you’re planning to apply for a visa manually, you must do it at a one-stop centre established by the Malaysian government. These centres are present only in Delhi, Mumbai and Chennai in India. Secondly, manual applications are costly. The one-stop centre charges you a service fee of Rs 4720. Thirdly, there is a matter of ease. Why travel to these one-stop centres and stand in long queues there, when you can apply from the convenience of your home. Lastly, it takes time. An eVisa will reach you within 48 hours after it’s approved. However, on manual application visa might take 5-6 days to reach you. That makes things so much clearer. But a lot of Indians don’t really know if there is a Malaysia e visa for Indian citizens in the first place. Mrs Das from Kolkata, asks if Indians are even eligible for it? Yes, definitely. Indians are eligible for an eVisa along with nationals of Bangladesh, Bhutan, Sri Lanka, Serbia, Montenegro, China, Myanmar, Nepal and Pakistan. Does this mean I can apply for any visa through an online portal? Suppose I want a tourist visa, will I be able to do so? Yes. In fact, you will only be able to apply for a social visit or tourist visa online. If you’re looking for a work permit or a student pass, that is a completely different procedure and will not come under the eVisa category. The only visas you can apply online for are, eNTRI visa, Single entry visa that allows you a one-time entry and Multiple Entry Visa that allows you multiple journeys. Hold on. So if I apply for a Single Entry Visa I won’t be able to go back to Malaysia? A single entry visa has a duration of 30 days and allows you to enter Malaysia once. Suppose you leave Malaysia before these 30 days are over and wish to re-enter again, you will not be able to do so. However, a multiple entry visa, which has a duration of 30-90 days, allows you to enter Malaysia several times. If your visa duration is 90 days and you have left Malaysia before this visa expires, you can re-enter again within those 90 days. You don’t have to get a new visa to re-enter. Understood. Now, Mr Mehta has a question for us. He asks if the duration on a Single Entry or Multiple Entry Visa can be extended? No, unfortunately, this is not allowed. In addition to the single and multiple entry visas, the eNTRI visa also is non-extendable. I see. So what is this eNTRI visa that’s been so talked about in recent times? eNTRI stands for Electronic Travel Registration and Information. The eNTRI visa was formulated by the Malaysian government in an effort to improve ties with China and India. The visa is valid for citizens of only these countries. With an eNTRI visa, you are eligible to stay in Malaysia for 15 days. That’s a good option for folks looking out for a short trip then. Another big query coming from most of our readers is about documents. Everyone seems to be so anxious about what they need or don’t need. A valid passport valid with at least three blank pages. Your passport should have a minimum validity of 6 months. So I know now what kind of visa I want, but how I do apply online? Most of our readers seem to be stuck at this stage. There are two ways you can apply for a Malaysia eVisa, either you can visit windowmalaysia.my, the official visa application website or you can use evisamalaysia.in, our website. Then, click on ‘Apply for eVisa Malaysia’. This option will be available on the right-hand side of the page. Next, fill in the application form. We will give you a call explaining the visa process and payments. Submit documents along with an initial 10% processing fee. After your visa is approved you need to pay the remainder of the money. Wait, so how is the process to apply at evisamalaysia.in different from windowmalaysia.my? Suppose you’re planning a trip to Malaysia with your family or your group of friends, if you apply through windowmalaysia.my, you need to create separate accounts for each person. This is quite tedious and time-consuming. With evisamalaysia.in, you need to create just one account, and in the registration form, you can select the number of applicants. But most readers would still prefer windowmalaysia.my the official website, why do I go for evisamalaysia.in? As mentioned before, you would need to show confirmed flight tickets and hotel bookings to get your visa to Malaysia. In case, your Malaysia visa doesn’t come through or gets delayed, you will lose a lot of money cancelling these bookings. This is where evisamalaysia.in steps in. We submit temporary bookings to get your visa through. After your visa has been confirmed, those bookings are cancelled without any loss to you. You can now conveniently book your flight ticket or hotel room, according to your preference. If you apply through windowmalaysia.my, you are at a risk of losing your hard earned money in cancelling flight and hotel bookings. Also, since it is an official website, windowmalaysia.my processes your applications through more stringent checks. Any small discrepancy or minor mistakes and your visa application might be cancelled. Therefore, it is my advise that you save a lot of your money and just pay the 10% processing fee to evisamalaysia.in instead. Yes, it is better to pay little and save most of our money from risk. Speaking of money, how much do we pay for each visa? What is the cost? Including the visa facilitation fees and GST, the cost for a single-entry visa is Rs. 2750, for multiple-entry (30 days) it is Rs. 3100 and for an eNTRI visa, it is just Rs. 1750. I hope that clears things regarding cost for our readers. Now we have got a query from Mr Sharma from Bangalore, he says “You’ve mentioned we need to upload two recent photographs, but what are the guidelines for this”? Now, most people have this query and us as well. Why do need a visa in the first place, if Indians can get a Visa on Arrival done? Isn’t a Visa on Arrival a better option? Have 1000 USD on you in cash/bank deposit or an international credit card. Pay 100 USD more as processing fee. Submit proof of accommodation and return flight tickets home. Additionally, a Visa on Arrival would be valid for only 7 days. This and the fact that you have to stand in long queues at the Immigration counter to get this visa makes a Visa on Arrival a most undesirable option. It is my recommendation that you go for an eVisa instead. It is easy to apply for, cheaper than a Visa on Arrival and you can regularly track your visa status as well. That was informative, but how exactly do I track my visa application online? It is a simple process really. All you need to do is go to windowmalaysia.my. To start, click on ‘Apply online”. Then, click on the ‘Check eNTRI / eVisa validity’ tab on the topmost right corner. You will be asked to submit your passport and sticker number. After you have entered these details, you will be able to see your visa status. Lastly, we have a query from Miss Jain, she says her eNTRI application was rejected two weeks back, she would like to know what to do if your visa is rejected or if there is any mistake in your documents? If there is a mistake in your documents or application and you have already submitted the form, then there is no way you can rectify it. In such a situation you need to re-apply for the visa. If your application is rejected you need to re-apply as well. However, for re-application to eNTRI visa, a cooling period of 3 months is necessary. You can apply for eNTRI once again only after this period. On a parting note, we would like to thank you for your time and the information you have provided. I hope the readers have had all their doubts cleared and queries answered. About evisamalaysia.in: Initially visa consultation agents, evisamalaysia.in have now become global visa experts. In a space full of scam artists and con men, evisamalaysia.in have emerged as trustworthy travel agents. 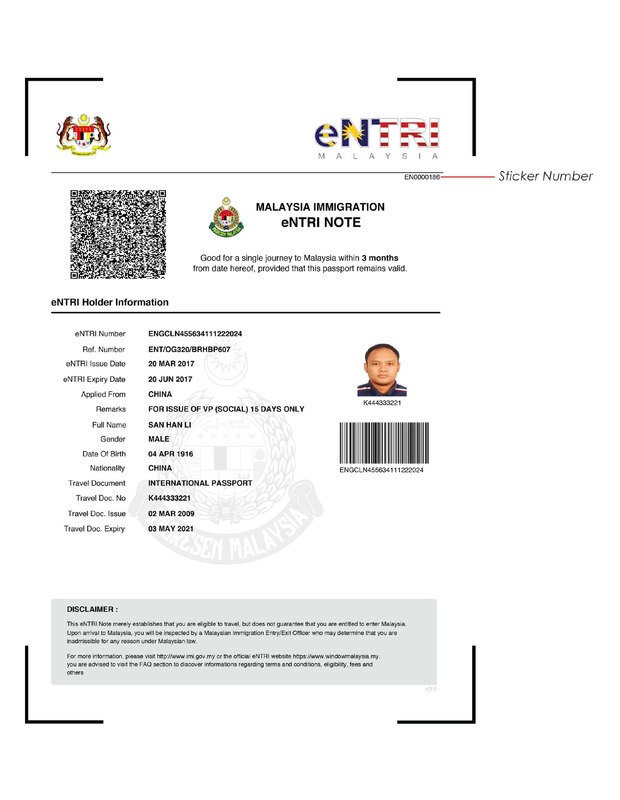 They have guided many eager travellers through visa application procedures of different countries, and now extended their expertise to Malaysia eVisa. Over the past year, they have processed more than 5800+ visas and continue to give their indispensable advice and support to visa applicants. Applying through evisamalaysia.in saves your time and money by offering temporary travel bookings and offer a full money back guarantee if your visa application gets rejected – and that’s something not even a consulate offers. Submit the soft copy of your documents and the processing fee and leave the rest to them. They also offer free consultation regarding visa, hotel bookings, insurance etc. Evisamalaysia.in are the leading experts you want to plan your travel itinerary with. 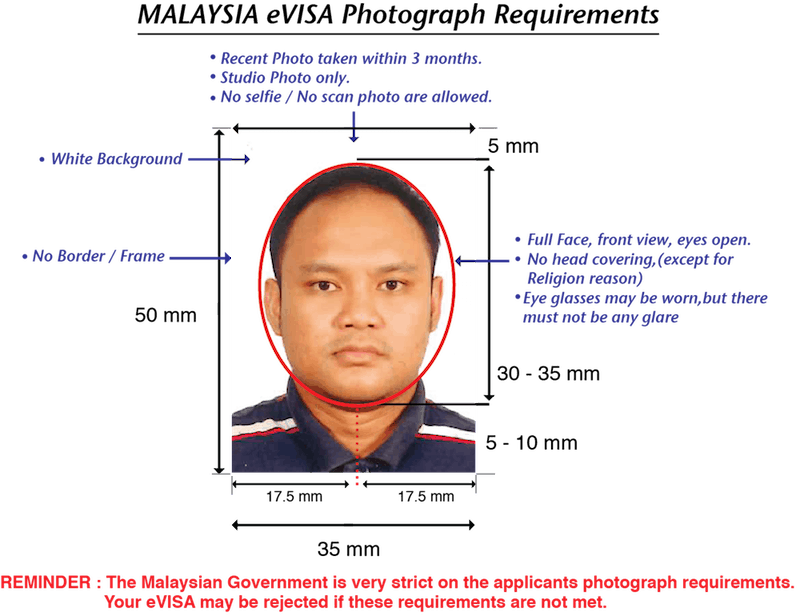 This entry was posted in Malaysia visa, Schengen Visa. Bookmark the permalink.